As a leader in the industry of landscaping and building supplies and delivery for nearly 100 years, SAND4U strives to bring you high-quality products and professional services. Our product lines of sand, gravel and landscaping and building supplies are suited for a range of different projects – no matter the size. 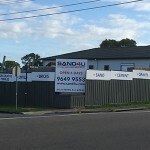 At SAND4U, we’re proud to supply Blacktown’s building and landscaping companies. 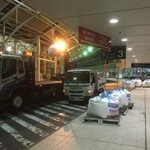 Therefore, we offer both pick up and deliveries, even offering after-hours deliveries. With service in multiple areas, getting building supplies in Blacktown has never been easier. Our products are of great use to Blacktown’s building and landscaping industries, as well as many other industries in the area, and we’re proud of the lasting relationships that we’ve built with our customers. We have a strong customer base in the civil, construction and landscape industries. Whether they work as builders, roofers, tilers, bricklayers, or are DIY-ers or members of the general public looking to do some home repairs, our customers work in numerous industries. Our customers come to us because they rely on the quality products and excellent customer service that we provide at SAND4U. For those who need their products as soon as possible, our yard is open to you. If you’re in the Blacktown area, come on by our yard and see our extensive product line. If you’re unsure about the type of product you need, one of our friendly representatives will set you up with the products you require. If you’re unsure about how much of a product you’ll need, our friendly and knowledgeable sales staff can consult with you about the project details. No matter what landscaping and building supplies you need, whether you need a bag of soil or a truck load of cement, or even something as small as a handful of nuts and bolts, when you need it, we’ll supply it. At SAND4U, we strive to achieve the highest levels of customer satisfaction, which means we deliver on the supplies you need. 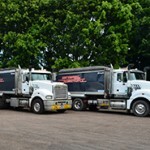 Whether it’s for the sake of convenience, or you’re a site manager tending to other project demands, we offer on-site delivery to all of Blacktown’s building and landscaping companies, as well as many other industries in the area. Our standard delivery time is 6 days a week, from 6:30am to 5:30pm. Clients can be there to receive the delivery, but we’re also able to deliver to the site even if you’re out doing other work. Even though we strive to meet delivery times perfectly, there are many external factors to take into consideration, which could lead to changes in the schedule. That’s why we ask for a 30-minute window before and after the requested delivery time to account for these unexpected possibilities. Our drivers will always aim for prompt delivery times, so you can have peace of mind knowing that your order is in good hands. We seek to deliver not only quality products, but also quality service and customer satisfaction. To ensure security and to give you peace of mind, we provide GPS tracking of all our trucks. This allows you to track your order and its estimated delivery in real time. With our GPS services, you always have the location of your supplies from our warehouse to your site. 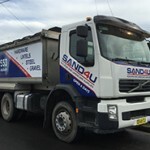 At SAND4U, we understand that sometimes, standard delivery times don’t work for our customers, and we also understand that this is just the nature of the business. For those who can’t receive deliveries during standard delivery hours, we offer after-delivery hours. Our after-delivery hours service is available 24 hours a day, 7 days a week, and they make it possible for you to get the landscaping and building supplies that you need – anytime and anywhere. Many of our valued customers, who are in multiple industries, utilise the convenience of our after-delivery services. Sometimes they must work and receive building supplies after business hours, such as the renovation of a busy shopping centre, or repairing a heavy-traffic road. Other times, they work in a busy place that never closes, like emergency services. No matter the time or the day, you can rely on us to deliver. No matter the size of the load, you can rely on SAND4U to deliver the supplies you need. Our fleet of trucks ensures that you get all the landscaping and building supples that you need, as quickly as possible. From small trucks, to 6-tonne tipper-crane trucks and all the way up to 32-42-tonne truck and trailer combinations, our delivery trucks run a full-scale operation to ensure that you get the supplies that you need at the right place and at the right time. Get in touch with us to see what have to offer Blacktown’s building and landscaping companies. Our warehouses of high-quality landscaping and building supplies provide a wide product line of goods suited for any project. From consultation services, to yard pick-up, and the standard and after-hours delivery, we’ll make sure that you’re equipped with the supplies you need. If you’d like to learn more, contact SAND4U today on 1300-787-485 and make your next project a success.